Shanghai tours will lead you to the largest city in China in terms of population and the largest metropolitan city in the world. Today, Shanghai has the busiest port in the world. Originating from a quiet fishing village, Shanghai shore excursions present the most important city in early 20th century China, and the center of popular culture, political intrigue, and gatherings of intellectuals in the ROC period. Shanghai was once the 3rd largest financial center in the world, ranking only after New York City and London, and is the largest commercial center of the Far East in the late 19th century and early 20th century. The best time to visit Shanghai tours from cruise ship is spring when the weather is temperate and not too hot. Today, visitors from 51 countries around the world may take Shanghai shore excursions and many other cities such as Beijing, Guangzhou, Chengdu, Xian… included in China tours with 72-hour Visa-free transit. Asia Shore Excursions is offering the best Shanghai shore excursions for cruise ship passengers stopping at the Shanghai cruise terminal in China. Have a look at our recommended Shanghai shore excursions for some inspirations. If you do not find the right Shanghai day trip you wish, please feel free to contact us and our enthusiastic Asia Shore Excursions experts will help you tailor-make a unique Shanghai tour from cruise ship that exclusively for you. Hi. We are a group of 8 people who would be interested in a one day Shanghai tour. We will be in a hotel in Shanghai and would need to be dropped off at the port that Celebrity use. Please advise cost for this and would it be possible to include a tour to the water town. Please give a separate price for this. Please check your email for the detailed quotation on this Shanghai shore excursion. Being described as the “showpiece” of the booming economy of mainland China, Shanghai is a must-visit city of China. 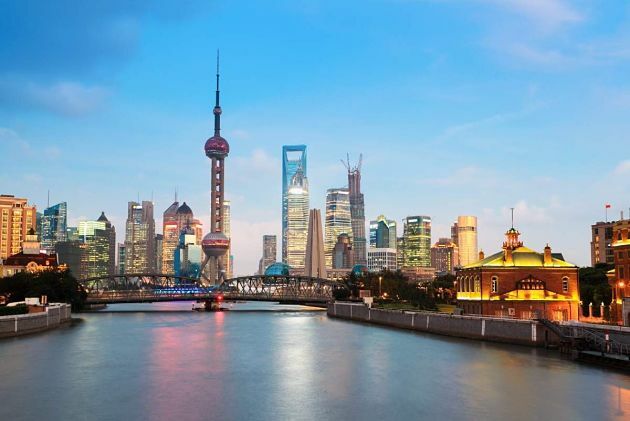 Tourists will be amazed by the modernity of Shanghai- a hub for international trade and finance in which has one of the world’s largest by market capitalization also. But do not understand me wrong that Shanghai has nothing but modernity. No! In fact, this Pearl of China is also famous worldwide for its museum, gardens, parks as well as its religious temples and so on. A variety of destinations for you to explore this outstanding city. 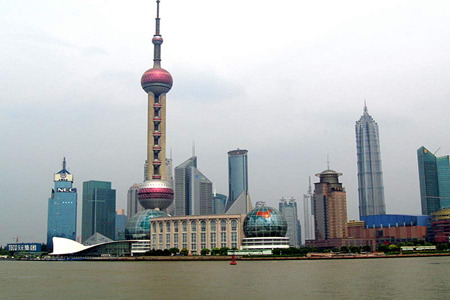 Shanghai also the world’s busiest container port which makes it very easy to tailor-made your own Shanghai shore excursions from Shanghai Cruise Terminal. A list of top things to do and see in Shanghai is mentioned below as the suggestions for tourists to choose their favorite one and arrange their Shanghai day tours as flexible as possible. Being a city of a religious country, Shanghai, of course, has a wide range of temples to tell you the religions of this country. The easiest way to color your Shanghai shore excursions with the color of it is to go there directly to experience yourself the religious atmosphere that no words can describe them correctly. 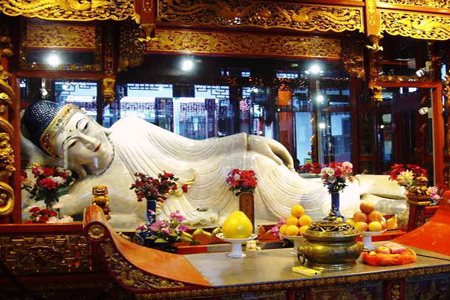 You can consider visiting the Jade Buddha Temple or the Jing’an Temple. Why? 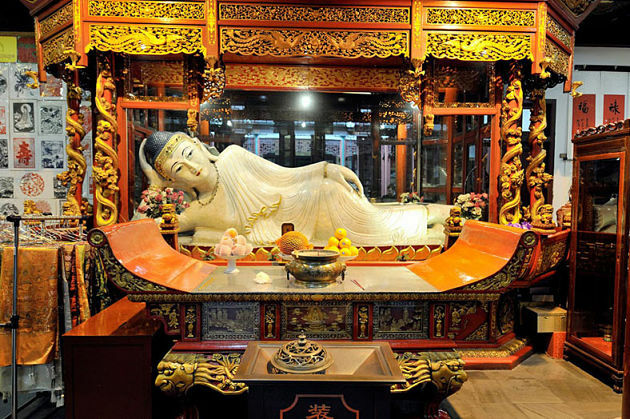 If you want to witness the two precious rare cultural relics and porcelain artworks jade Buddhist statues with the old-time and classical architectural style of temples to understand the talent of people in the past, please come to visit the Jade Buddha Temple. With longer history, the Jing’an Temple is the place that the first tramcar was built, has the biggest pure jade portrait of Sakyamuni in Mainland China with marvelous painting, calligraphy by Yangzhou’s Eight Eccentric Painters in the Exhibition Hall of Buddhist Relics- the most famous temples in Shanghai. 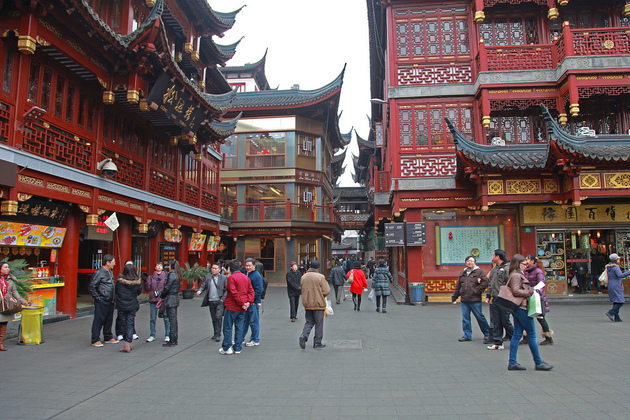 Shanghai Old Street and Shanghai Zhujiajiao water ancient town are the two must-visit destinations if you want to have a look back to the past. Historically called Miaoqian Dajie, Shanghai Old Street is a mixture of China ancient dynasties – Ming and Qing dynasties and European influence. 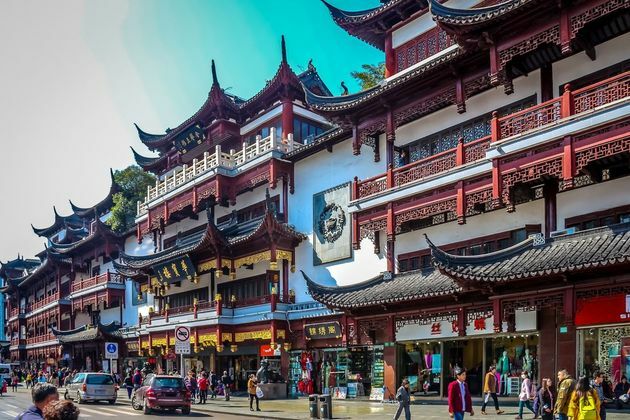 Therefore, tourists will not only precisely imagine the styles of old Shanghai with swing doors reach to the ground, the lattice windows and at the same time, the European tourists also have the feeling as they come back home with several European buildings. How interesting is that! Being similar to Venice in Italy, Shanghai Zhujiajiao water ancient town is the best destination for tourists if your time for the Shanghai shore excursions is limited. This water ancient town has a wide range of peaceful waterways, 36 ancient bridges, and traditional Chinese-style residences; tourists just need to immerse yourself in the flow of the river let it bring you back to the past. Let yourself shining under the sunrise and sunset of the Shanghai Bund Being one of the most recognizable symbols and the pride of Shanghai for centuries, Shanghai Bund is definitely a must-go destination that your Shanghai shore excursions from Shanghai Cruise Terminal will not complete without it. Foreigners will not want to miss a chance to appreciate “the museum of buildings” which include 52 buildings of various architectural styles such as Gothic, baroque and neoclassical styles. Walking along the Bund is the best way for tourists to slowly witness every single building. Or you can simply relax near the river to feel the wind blows through your hair and skin, especially, lose yourself in the warm sunlight and marvel at the gorgeous sunshine or sunset. It is highly recommended that you should come before this special time to not miss every second of it. However, walking will only help you to admire specific buildings, specific views, if you want to witness the overviews of entire this Bund, the Shanghai shore excursions from Shanghai Cruise Terminal in the Huangpu River has all you need. It will not surprised if you will totally be impressed by the enchanting night view of Shanghai Bund in particular and Shanghai in general. As mentioned above, it cannot deny that modernity is a significant symbol of Shanghai which make this city is also considered as Paris of the East. Tourists have to travel such a long time in their Asian shore excursions to Shanghai shore excursions, so there are no reasons that let tourists miss this opportunity to experience its symbol which can be seen in various skyscrapers. The tallest building with a twist of 90° or the tallest building in the world with a hole or the tallest observation tower and communications antenna will make you be interested in? 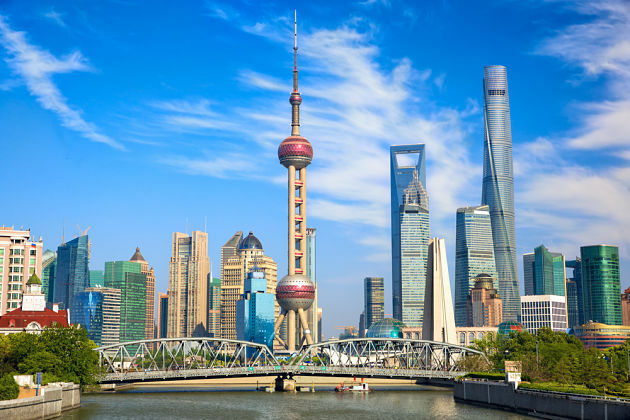 They are Shanghai Tower, Shanghai World Financial Center, and the Oriental Pearl Tower – the three towers are highly recommended most in Shanghai because of its special features as listed above. About the Shanghai Tower, being the tallest building with a twist of 90° is its unique feature to let everyone knows about it, the tower is also the tallest one in China and the 2nd tallest in the world – very impressive, is it!. Above to be just a landmark, Shanghai Tower is a unique mix of restaurants, shops, offices, and hotels spaced throughout the building. 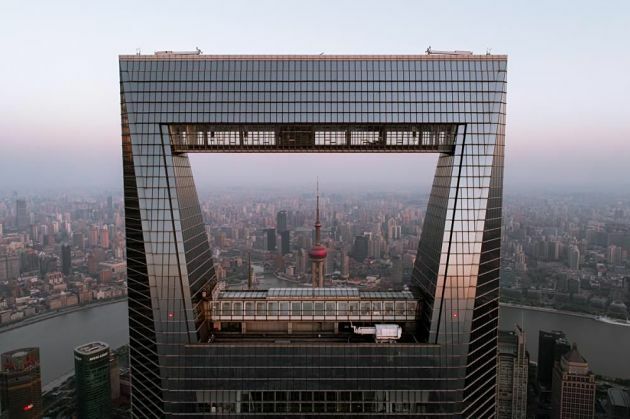 Being the house of Park Hyatt hotel- the world’s highest hotel, the Shanghai World Financial Center is a symbol of commerce and culture with its shape – the intersection of two sweeping arcs and a square prism – representing ancient Chinese symbols of heaven and earth. It is a wonderful news for tourists that at the 94th to 100th floors is a visitors’ square and observatory. Last but not least, the Oriental Pearl TV tower is absolutely the most friendly one to tourists. Besides providing 3 main sightseeing floors for tourists to enjoy the city view from different heights which 2 of them are outdoor sightseeing floors, the tower has also the Oriental Pearl Science Fantasy World and the 2nd highest dining area in Asia. Right at the first time you hear its name, you will know this district’s function, isn’t it? Clubs, restaurants, coffee shops or boutiques, you can find everything you can think about in this entertainment district to please all your demand for eating, drinking, shopping or just enjoy yourself in music. 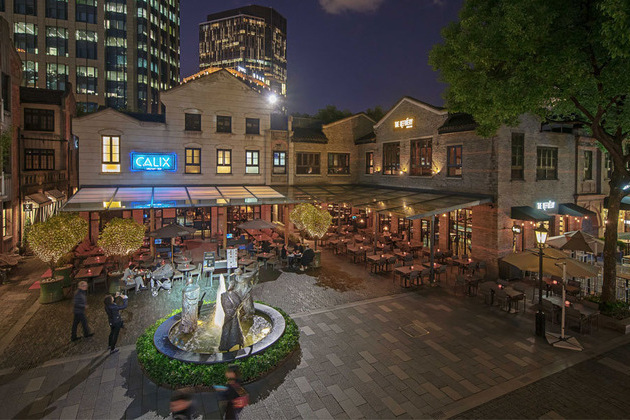 It seems like this district has gained its mission as the meaning of its name Xin Tian Di – literally, New, Heaven, Earth and to be regarded as the transformation of nightlife and entertainment in Shanghai. Tourists will find 24 hours a day is too short to explore everything, to enjoy the party. This may be a reason why a wide range of foreigners decided to settle down here for a long time or, with some cases, till the end of their life. So, you will never want to miss this hot attraction in your Shanghai shore excursions from Shanghai Cruise Terminal, maybe you will become the next resident here! Nature always the most peaceful places to escape the hustle and bustle of crowds. 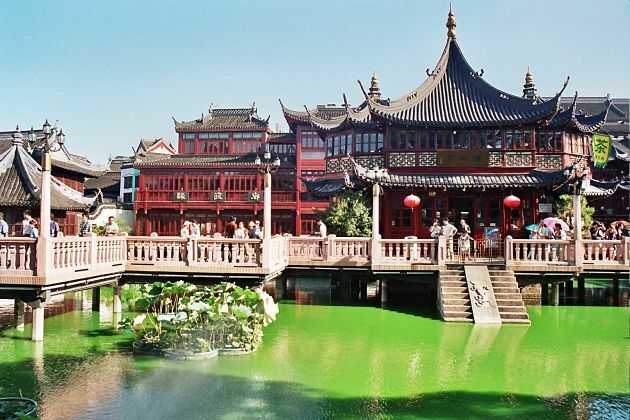 If you do want to live slower, Yuyuan Garden or Yu Garden Shanghai is absolutely your ideal heaven. Even its name shows its function – Yu in Chinese means pleasing and satisfying. With a variety of pavilions, halls, rockeries, ponds, and cloisters, the Yuyuan Garden will help you to enjoy a tranquil and happy time here. However, you will not feel boring when coming to this garden thanks to various scenic areas such as Sansui Hall, Wanhua Chamber, Inner Garden and so on. Each area will let you immerse yourself in a different way with several different scenic spots within its borders to diverse your Shanghai day tours in this garden. Moreover, there is a wide range of parks such as Lu Xun or Zhongshan park – a perfect place to enjoy your day and have a picnic.